You have a great idea for some content — you write it up, publish, and promote it on your social media accounts. Now what? On to the next topic, right? Not so fast! If you think of content as being “one and done”, you’re missing out on an opportunity to maximize your content ROI by repurposing your most successful content into different formats. Some people prefer long-form articles they can digest slowly, and that’s great. But others might get more value from visual content, like an infographic, through interactive content, like a quiz or game, or through a kinetic format, like video. Or, one segment of your audience might not have time to read a blog post, and would prefer to see a topic summarized in a quick video, or hear it covered in a podcast on their commute. Still others would prefer an even deeper dive into a topic in a format they can read offline, like an e-book or white paper. While it might sound counterintuitive to create, say, five or more pieces of content on a topic, rather than just one, this approach actually saves you work. When you repurpose existing content, the tasks of developing the idea, researching, and writing it is already done. In some cases, you might just need to make some subtle tweaks in order to repurpose a piece of content. Just remember the golden rule of repurposing content: create less, promote more. Plus, because you’re only repurposing content that you KNOW performs well, you’re not wasting time creating content that may not even appeal to your audience. Which brings us to the first step in this process: identifying the content you should repurpose. First the bad news: every piece of content you publish won’t be a good candidate for repurposing. There are just some pieces that haven’t resonated for whatever reason, or that are too dated to be successfully recycled. If you use Google Analytics, sort by Behavior > Site Content > Landing Page to find pages of content that have had high levels of traffic. You can drill down by medium also, as some content might have got comparatively a lot of social traffic rather than organic or referral, for example. Which tweets on Twitter got a lot of engagement? The same goes for Facebook posts and YouTube posts. By identifying the content that resonated with your social media audience, you’ll get an idea of what sort of content performs well. When content is evergreen, it’s high-quality, engaging, and timeless. When you examine your website analytics, you may find that some video or blog post you shared years ago is still driving decent search traffic. Even if it’s a bit out of date now, it could be a good candidate for repurposing because there’s still interest in the topic. On the other hand, a blog post about Trump’s election might have driven a lot of traffic at the time, but it’s a bit irrelevant now — not evergreen. Once you’ve identified the content you want to repurpose, take some time to think about the fundamental reasons for the success of this content. What’s the underlying message, most interesting information, or the most surprising takeaway? Once you’ve identified the magic ingredient that made this content successful, consider how you can add value for your readers, or reach a new segment of your audience by changing the format. There are many different online content formats that suit different kinds of people, so consider who you’re trying to reach and how they like to consume content. If you’re not sure, ask! Audience surveys or Twitter polls (“Do you prefer to a) read blogs b) watch videos, or c) listen to podcasts”) can be a good way to let your audience tell you what formats they like. 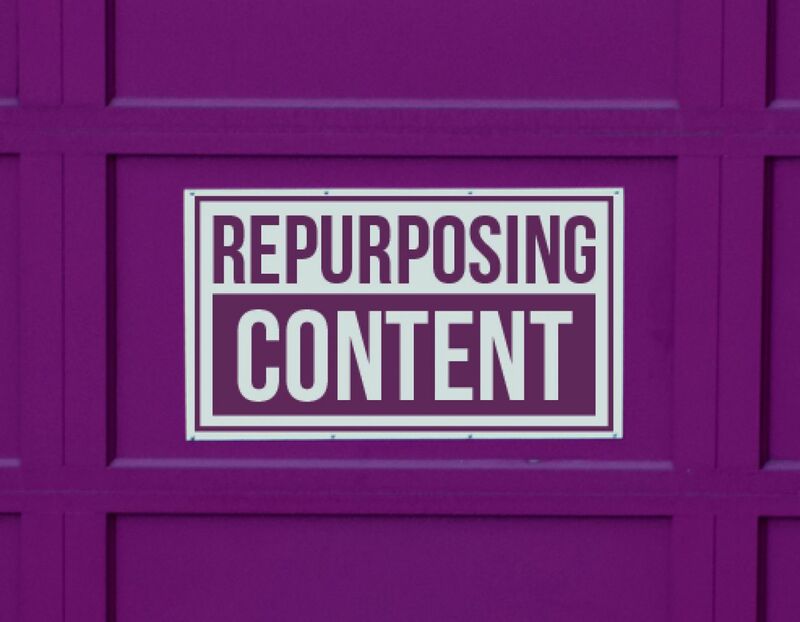 Here’s 14 of the most popular formats for repurposing content. First, the obvious. Lots of people start with written, long-form copy when they begin their content journey, and there’s nothing wrong with tried and true. Your most successful blog posts may inspire others — is there a subtopic you discuss that could really be a post by itself? Can the article be rewritten from a different angle? Is it time for a follow-up on a topic you previously covered? Existing white papers or ebooks can also be repurposed into multiple blog posts on each of the topics or sub-topics covered. Often you can even repurpose existing long-form copy simply by updating a few details, swapping out the images, and changing the publish date. Backlinko is continually updating this post on SEO Techniques with new content, including a section on how simply adding a case study to an old post (instead of writing a new post for it) boosted organic traffic 111%! You can also try the reverse — breaking down a long-form piece of content into smaller parts, social post summaries or tweets for instance. As Social Media Examiner explains, start by making a list of the key quotes, statistics, and takeaways from each piece of content you want to repurpose. Add relevant hashtags and tag any influencers you mention or quote in your content. You can also create shareable images using key quotes from your content and use those to share with your post on social media, as Copyblogger did in this example. Is there an aspect of your content that can be broken down into bullet points or retooled into a checklist or worksheet format? Readers appreciate anything that makes content easier to understand and implement in their day-to-day. 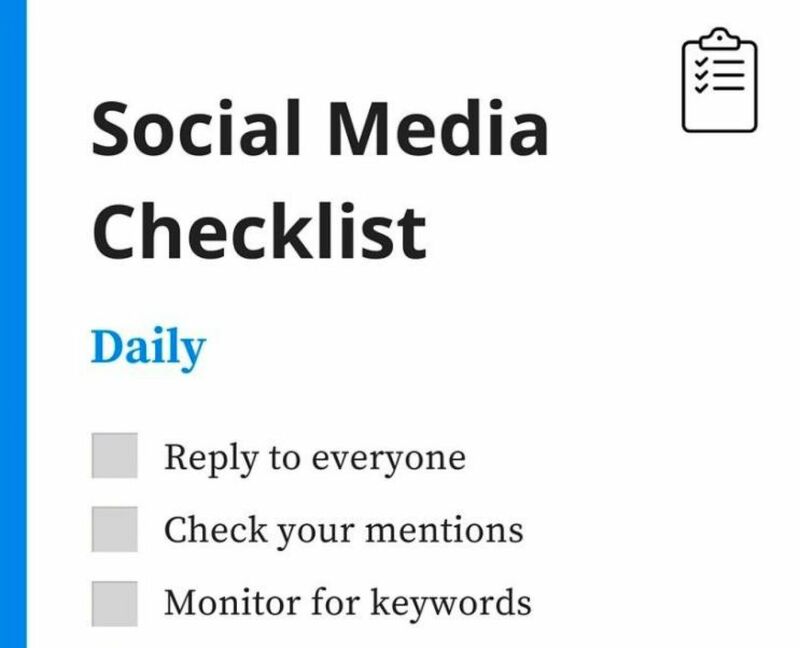 You can offer these assets ungated, as Buffer does in their Daily Social Media Checklist, or use it as a lead magnet in exchange for an email address. If you’ve got a piece of content that explains a process, consider turning it into an easy to follow step-by-step guide. This could be a downloadable PDF, a written how-to guide (with lots of images for users to follow along), and/or a video. Here, the Kitchn offers an ultimate guide to roasting a turkey, with lots of links to other related a blog posts (another great way to repurpose content!) Readers can follow the written step-by-step instructions with images, watch a video explaining the process, or flip through a slideshow of each step. Any number-heavy piece of content, whether a list of statistics or a new white paper or survey, is a prime candidate for an infographic. You can easily make that content more engaging and shareable with a DIY video infographic maker like Biteable. Be sure to update your blog post with your new infographic, share it on highly visual networks like Pinterest, and use sections of it to share separately as social media images. 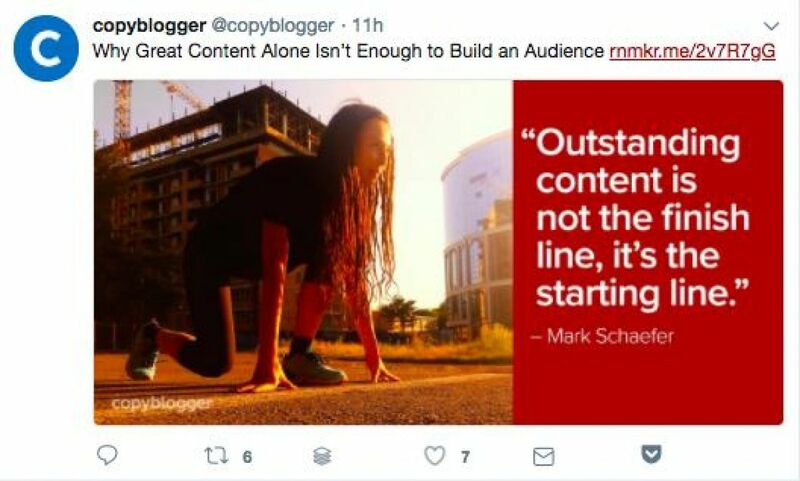 Using a tool like Powerpoint, Slideshare, or even Biteable again, you can turn your long-form content into shareable presentations, like Copyblogger did here. Simply pare down your content to just the highlights and key takeaways, and add some images for a piece of content that’s easily digestible. Since Slideshare is part of LinkedIn, this makes it an especially great tactic for corporate and B2B audiences. Do you have a number of blog posts on the same topic or theme? You know that theme resonates with your audience, so why not combine 5-10 of these posts into a downloadable ebook? As HubSpot explains, each post becomes a chapter, all that’s left for you to do is to fine-tune the content to make it cohesive and/or meatier, add an introduction and conclusion tying it all together, and package it up into a downloadable PDF using a tool like Beacon or one of HubSpot’s templates. Don’t forget to add some calls-to-action to your site promoting your new lead magnet! Already have an ebook or a longer blog post? Break it up into a series of emails to drip out over a few days or weeks. For some people, a 5000-word ebook is daunting — who has the time? — but a series of 500-word emails over 10 days? That’s not so bad! We’ve mentioned video a few times already, and that’s because it’s one of the best ways to repurpose your written content. Now more than ever, people prefer to watch videos over reading — and that’s not just true for those darn kids. One study found 59% of executives say they would rather watch a video than read text. Luckily it’s easy to satisfy your video-hungry audience. You can break down your blog posts into bite-sized snippets, and use Biteable to quickly repurpose your old content into a new and highly shareable video. You can create videos from your existing presentations or how-to guides, and share video clips from webinars too. OK, but then there are some people that are even too busy to sit and watch videos. How to reach them? One way is by turning your written content, or your videos, into audio files. You can repurpose content into podcasts, or add audio files to your blog posts, as Medium does. You can do this by simply reading your blog posts out loud, as explained by Internet Business Mastery, or by using an automated tool like Amazon’s Polly plugin. You can also repurpose audio files from a podcast or blog post, to create a voiceover for a slide presentation on the same topic. If you’re conducting webinars, you should absolutely be repurposing that content — using it for blog post content, sharing shorter snippets as videos, sharing the audio recording, and uploading the slides to Slideshare, for instance. 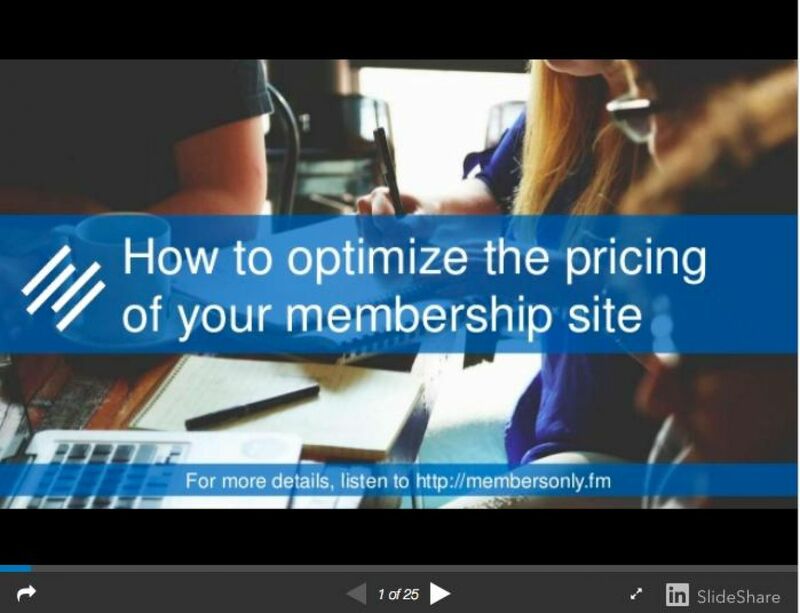 But you can also repurpose existing content into webinars. For instance, if you’ve got a comprehensive how-to guide, a course, or a presentation, you can repurpose that content into a webinar. Have a new white paper or other research? Hold a webinar in which you share the highlights from your findings. 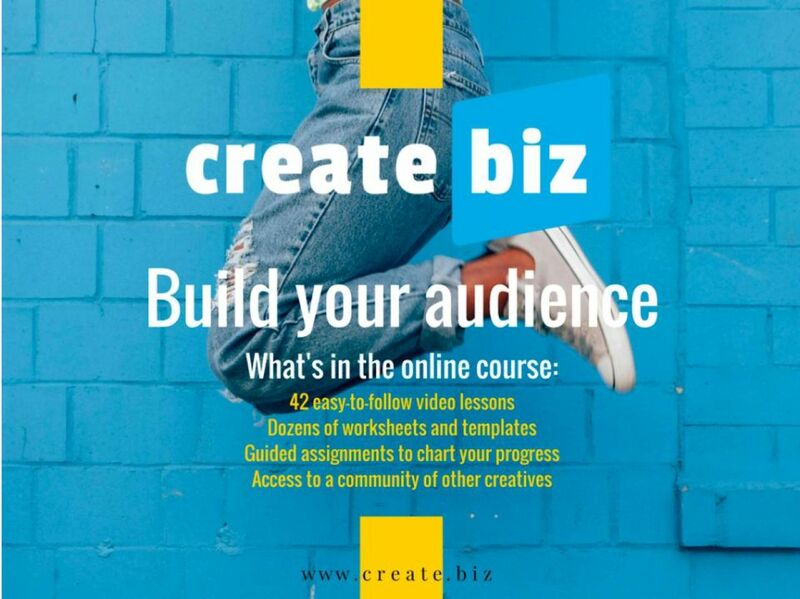 Online courses are one of the best ways to productize content you’re already creating. For instance, if you’ve got a variety of different types of content (podcasts, ebooks, worksheets, blog posts, videos) around marketing a small business, you can package those assets together into a self-guided course. If you sell this course, it can not only help you acquire customers, it can be a new revenue stream as well! It’s easier than you might think to create interactive content like games, quizzes, and apps, based on your existing content. People love taking and sharing quizzes and they can be a powerful lead generation tool. 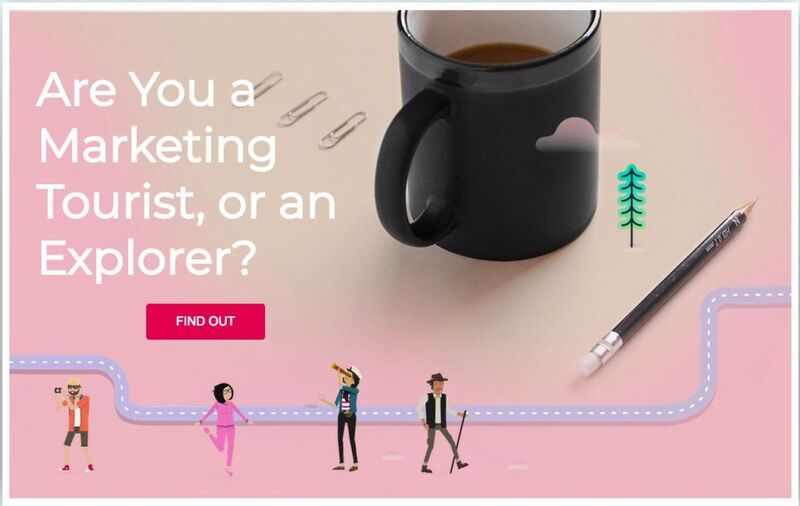 Check out this example from UberFlip, who use a “What Kind of Marketer Are You?” quiz based on their ebook, to drive downloads of the content. And this tactic isn’t limited to your marketing content — you may be able to repurpose content on informational pages on your website too! We like how Holiday4Dogs’ website forgoes a standard, copy-heavy Our Process page and instead offers an interactive step-by-step guide, or the option to watch a video instead. There may be some copy on your site that could benefit from an interactive or video explanation instead! Finally, perhaps the easiest way to repurpose your content is by reposting it on social media. Resharing your evergreen content on social media can bring in nearly as much traffic as the first time you shared it. And by changing up your posts with different images, title variations, hashtags, and posting at different times throughout the day (including opposite timezones) you can potentially reach a whole new audience with hardly any effort on your part. You can even automate this task by using a tool like Edgar that automatically reshares content for you! The beauty of repurposing content is that your options are practically endless — you can likely transform any asset you have into another format that will help you reach even more people and add value in a new way, while saving you time and effort in the process.